Boil the veal in sufficient water with a little salt and a pinch of turmeric till tender. Remove from heat and cool. When cold, cut the boiled veal into small pieces. Mix the chillie powder, turmeric powder, salt and garlic paste with the boiled veal pieces and keep aside. Heat oil in a pan and fry the onions till golden brown. Remove from the pan and keep aside. 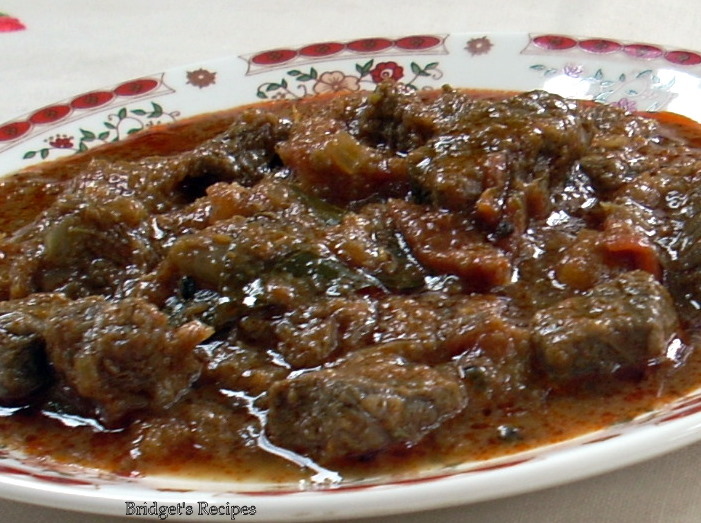 Now fry the marinated boiled veal in the same pan adding a tablespoon of butter or ghee and cook till the meat begins to look dry. Mix in the fried onions and simmer on low heat for 5 more minutes. Serve with rice or bread and a few steamed vegetables. 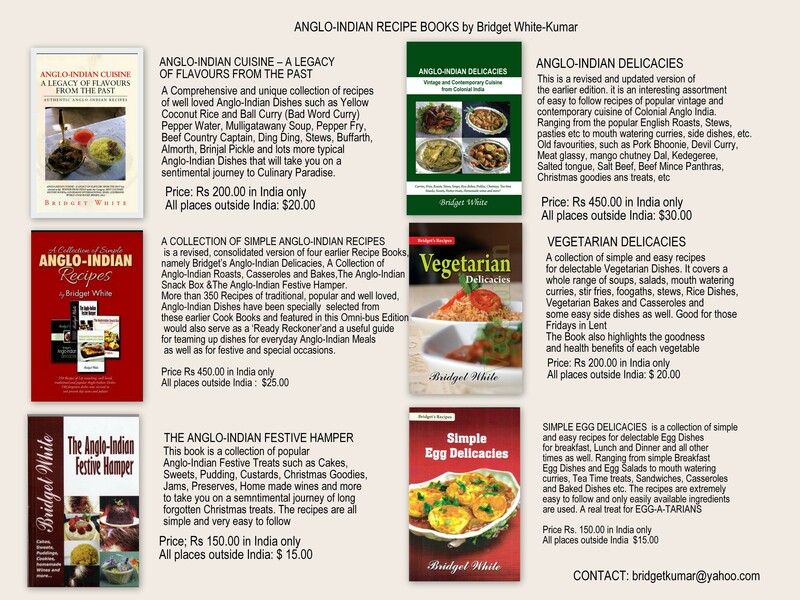 Posted on November 21, 2011 November 21, 2011 by Bridget White-KumarPosted in Anglo-Indian Recipes, meat, meat curry, Veal Country CaptainTagged Cold Meat Curry, Veal Country Captain, Veal Curry. 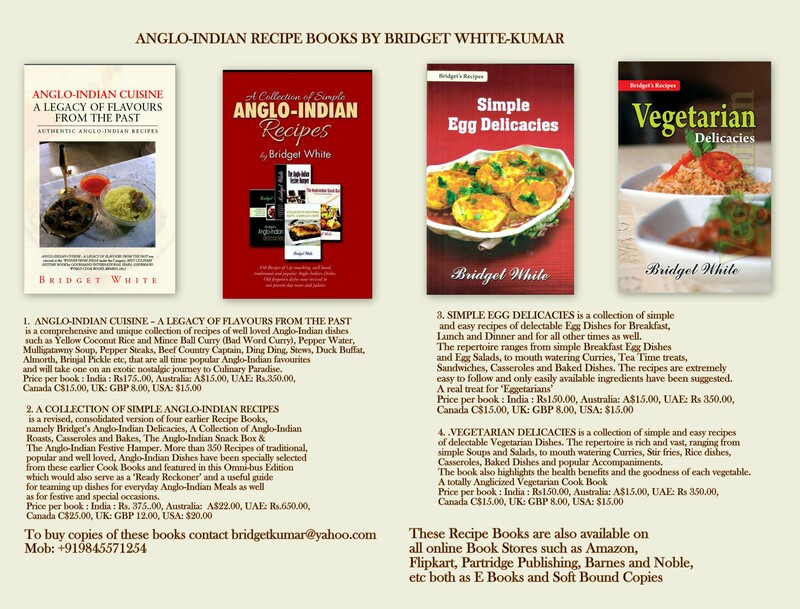 Dear Ms.White your recipes are awesome…reminding me of the by gone days of my life …I have never read nor heard of such unusual dishes like boiled eggs and capsicum curry and your recipes are very tempting..